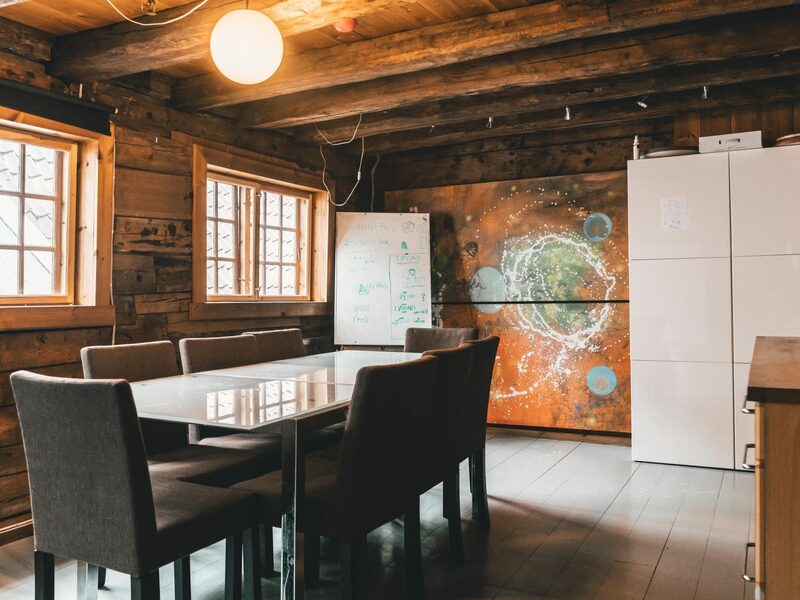 Inspiring work, meeting and event spaces located in a historical UNESCO house at Bryggen, right in the heart of Bergen. Planning a meeting, workshop or event? Our rooms are fully equipped with everything you need to get creative: fast wifi, post-its, pens & markers, tea and coffee. We also provide catering upon request. 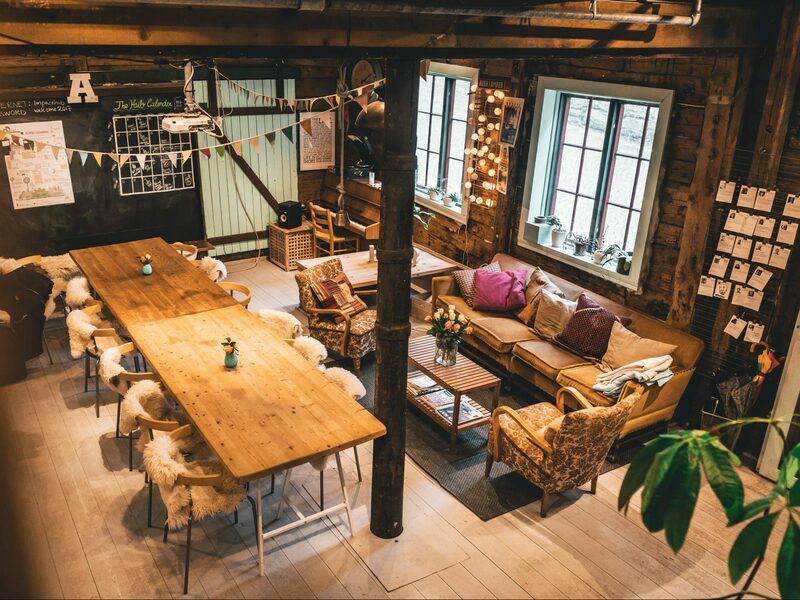 The Café is a cosy, unique and well-equipped room for mid-sized meetings, events or presentations. It is equipped with a projector, and a whiteboard can be provided upon request. 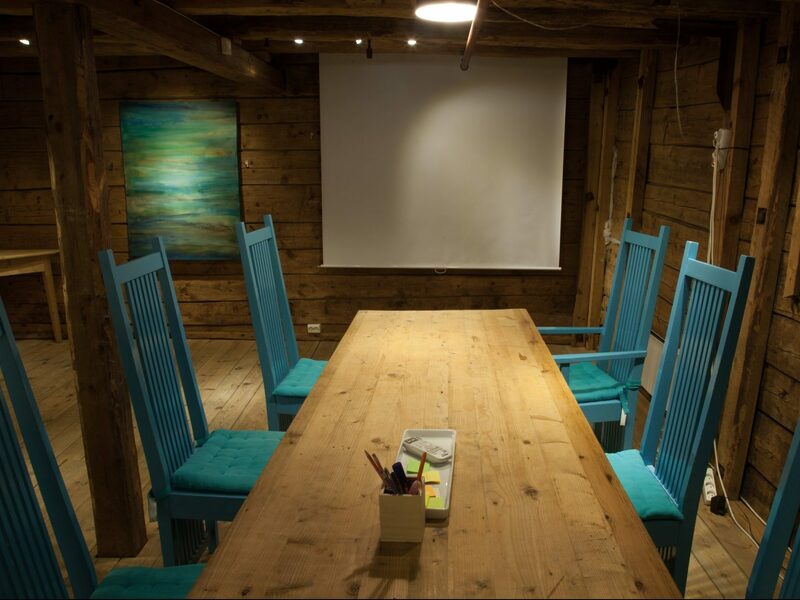 The Cabin meeting room is the best option for private and professional events with up to ten people. It is equipped with a large whiteboard, projector and screen. 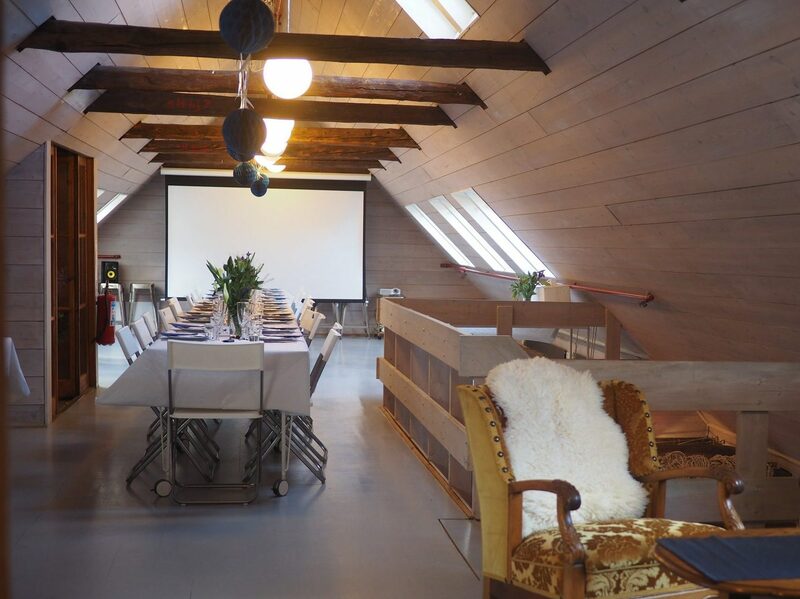 The Loft is an excellent room for large meetings or events. It is equipped with a projector and screen. A whiteboard can be provided upon request. The minimum booking time for this room is three hours. The Kitchen Meeting Room is a comfortable meeting room for up to eight people. 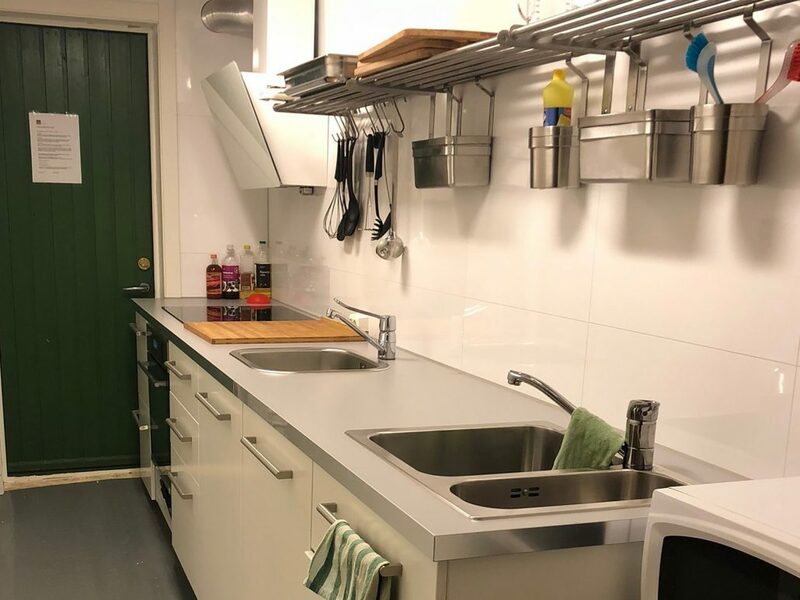 It is equipped with a kitchenette and a projector. A whiteboard can be provided upon request. We have a fully-equipped kitchen and Café space where food entrepreneurs can experiment with their creations. 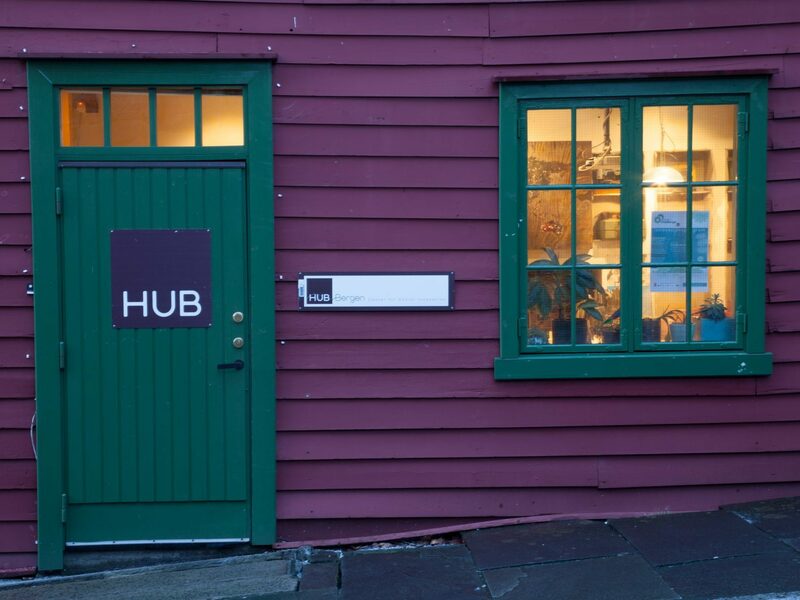 Rent the whole Hub house! For special events, on weekends only. Please fill in the following form to book our space. We will get in touch with you shortly to confirm your booking!